Our dream is to provide best dental treatment to the people of Mackay region at an affordable price. 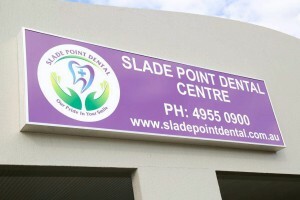 Slade Point Dental Centre is a family owned practice, where we try to understand and build long term friendly relationships with our clients. We believe a healthy, beautiful smile is not a luxury but a basic necessity of every individual. The best dentists are the ones who can deliver it to each and every patient of his/hers by making it customized and affordable. dental implants, invisalign and restorative procedures. We use state of the art technology to deliver dental treatments as gentle and pain-free as possible and. We are associated with Australian dental association and regularly attend CPD programs to update our knowledge and skills. When a situation arises we understand our limitations and make the decision to refer you to the right specialist. As everyone knows “prevention is better than cure”. We apply it in the field of dentistry as well, we perform many preventive dental treatments to children, adolescents and adults as well, to prevent major dental issues in the future. For eligible kids (under Australian government’s CDBS ) we perform gap free dental treatment. Call us to know more about the eligibility and how you can make use of this scheme. We perform dental treatment for members of all private health funds. “Best time to plant a tree was 20 yrs ago” … the second best is now… don’t let your dental problem get worse, make an appointment today we can fix the problem when it is small, easy and predictably treated.